Ashtyn Abbott leads balanced attack with 15 points. 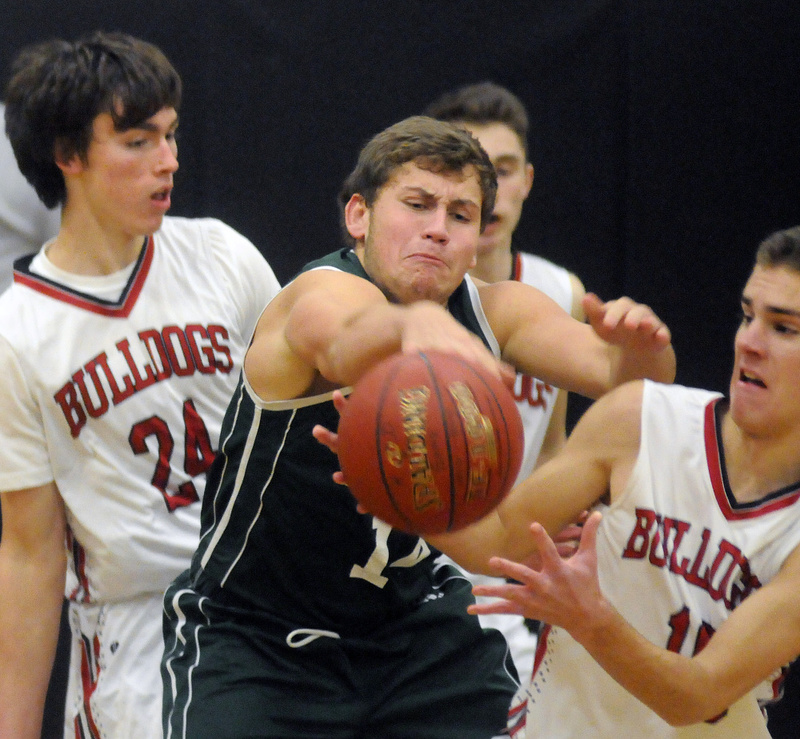 FARMINGDALE — What the Hall-Dale boys basketball team lacks in size is more than compensated by the depth and quickness the Bulldogs showed Tuesday night in running past Carrabec. With all 13 players scoring, Hall-Dale remained unbeaten in Mountain Valley Conference play with a 90-51 victory that showcased their three-point shooting and athleticism. The Bulldogs (4-0) broke a 15-all tie at the end of the first quarter with a 28-point second period that featured six 3-pointers. Hall-Dale shot 13 of 26 from behind the arc, led by sophomore Ashtyn Abbott who made three en route to a game-high 15 points. The game was less about high scorers than it was about the Bulldogs depth. Coach Chris Ranslow played 13 players in the first half, sometimes subbing five at a time with little drop-off. Sophomore Alec Byron added 14 points and seven rebounds for the winners while freshmen Josh Nadeau scored 10 and Tyler Nadeau and Owen Dupont nine apiece. 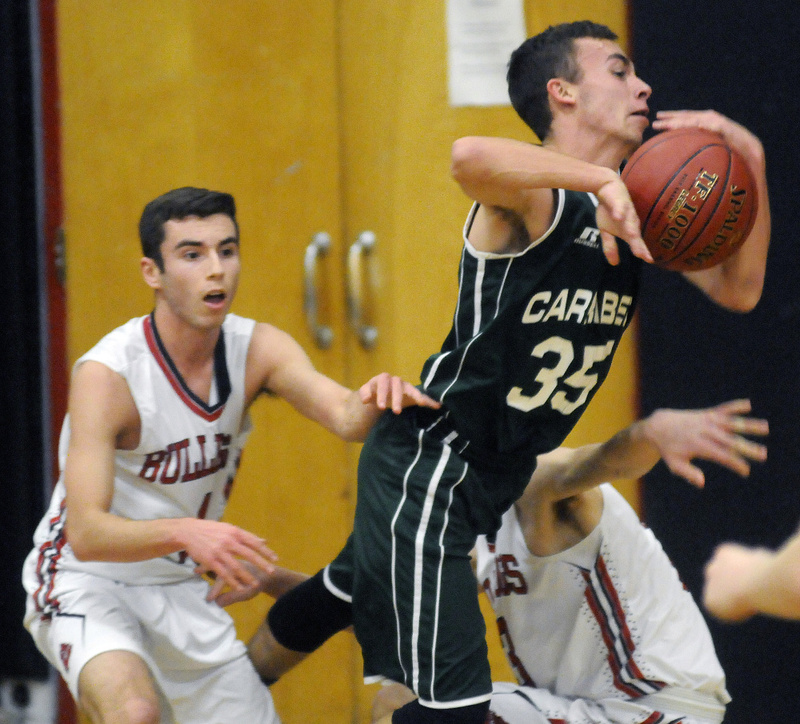 Dustin Crawford led Carrabec (1-3) with 13 points while Dylan Willette scored 11 and Cade Chipman 10. The Bulldogs actually enjoyed a height advantage over the Cobras, who don’t have a player over 6 feet on their roster. Hall-Dale grabbed 39 rebounds, 16 of those at the offensive end. Hall-Dale junior Jett Boyer, who saw limited action due to an ankle sprain, opened the second quarter with a 3 from the left side. Abbott, a smooth shooting lefty, followed with another from nearly the same spot and the floodgates opened. 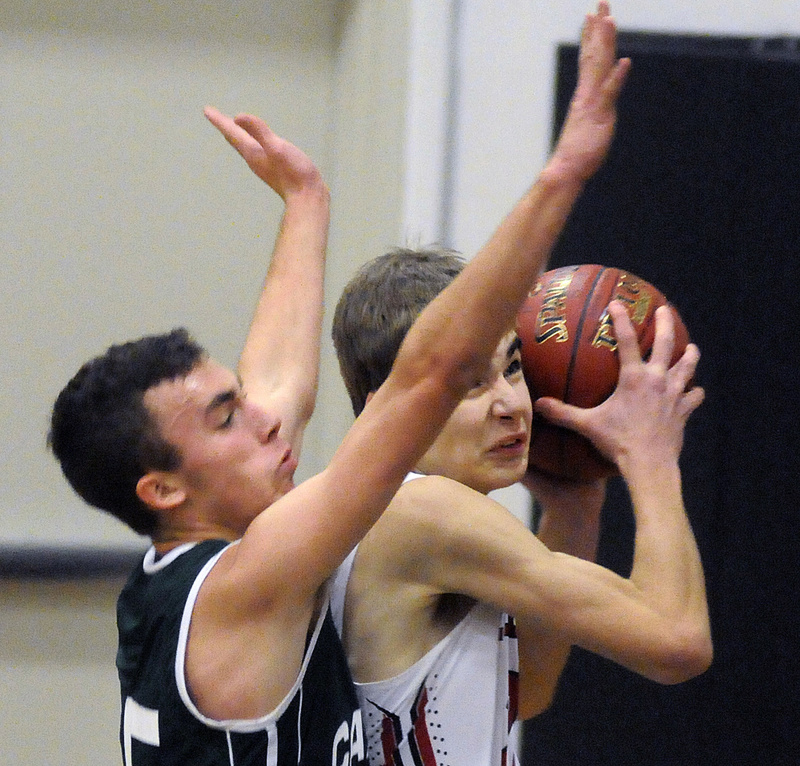 Josh Nadeau sandwiched a pair of treys from either side around a six-point run from Byron to make it 33-25. The Bulldogs closed the quarter on a 10-2 run to take a 43-29 lead into the half. 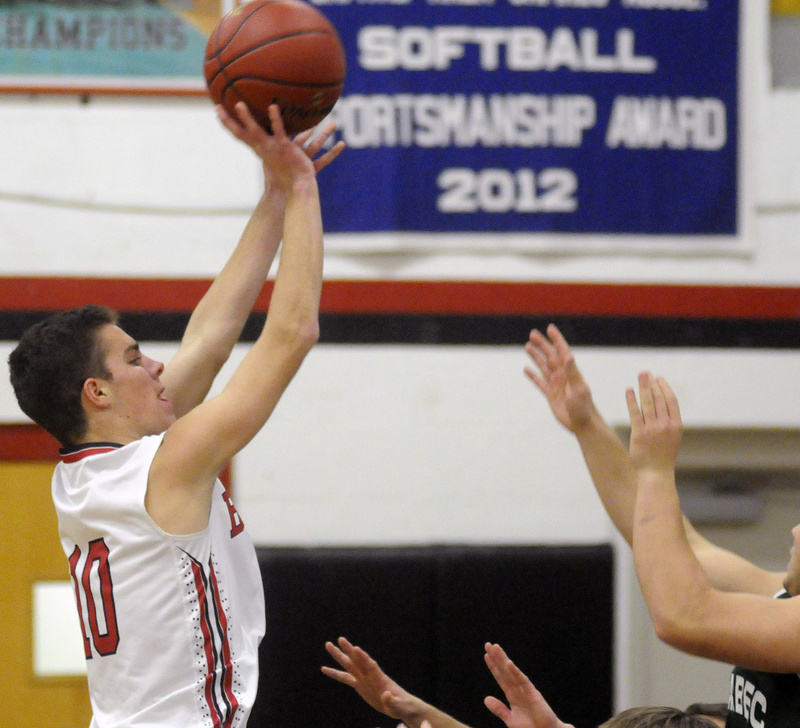 Tyler Nadeau scored four points as the Bulldogs opened the second half on a 10-0 run. Seven players scored in the quarter which ended with Hall-Dale on top 65-44.